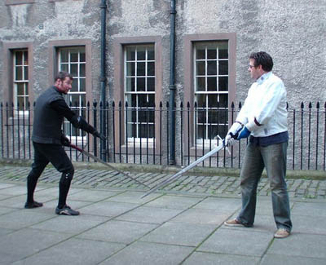 Located in Edinburgh's Stockbridge, the Macdonald Academy of Arms is dedicated to the study and practice of most forms of European Martial Arts and Historical Fencing. 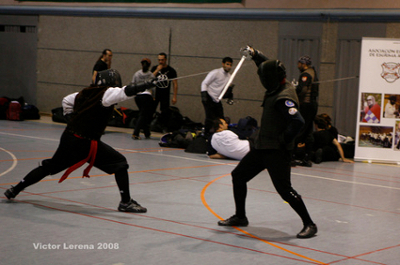 It follows the traditions of the famous fencing academies that flourished in Edinburgh until the late 1800's and aims to replicate the martial arts prevalent in Western Europe from as early as the 13th Century. 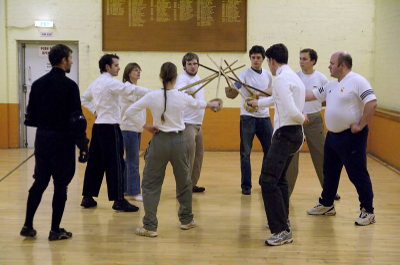 Students of the Macdonald Academy have the opportunity to become proficient in a diverse range of weapons forms, including backsword, longsword, smallsword, rapier (Italian and Spanish), quarterstaff and Italian cane...to name but a few. 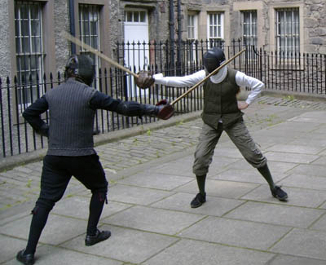 Under the expert tutelage of Maestro Paul Macdonald and Chef du Salle Stephen Kilbane, training in these arts is exciting and intense, working both body and mind to revive a true living tradition.